I think this is the last pre-Christmas mani I have left to share with you all! 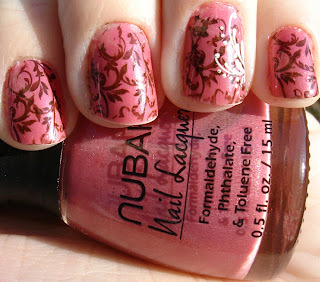 This is a manicure I did using a mysterious Nubar polish (my first Nubar) as well as bundle monster plates. For these nails, I started off with three coats of... mysterious Nubar. Why mysterious? 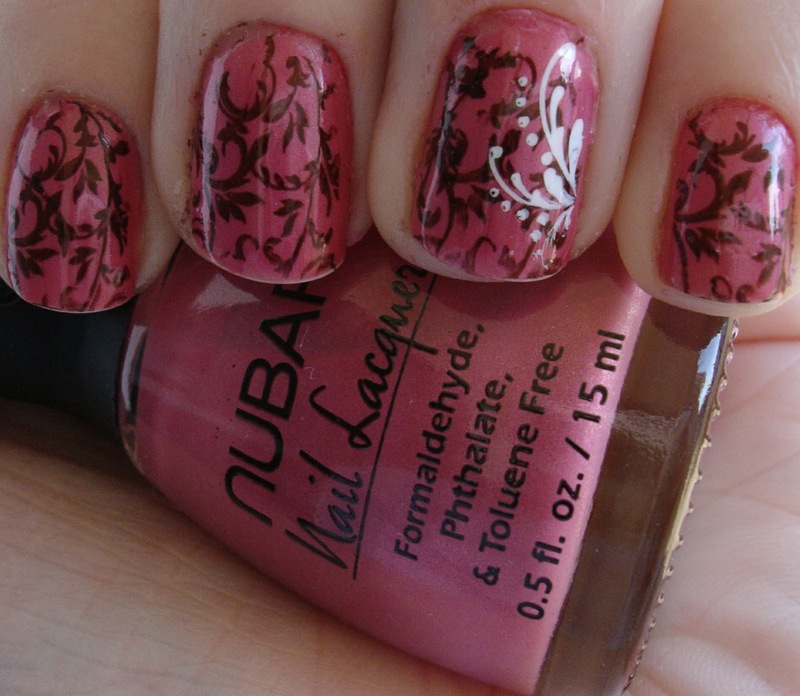 Well, this polish is labeled as Nubar Cinnamon, however after running a google image search on Nubar Cinnamon I have decided that this most certainly is not it. If I am incorrect please let me know, but this is what my own sleuthing has told me. If you think you know this polish, also please let me know, I would love to know its true name! No matter what the name, I really like this polish; a gorgeous rosey pink with a bit of shimmer to it. Great application; I was really pleased with my first Nubar experience! Very pretty! I like the layering. It give it something extra.